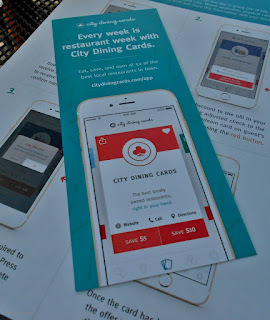 Back in April 2014 I wrote about City Dining Cards – the concept, was a deck of cards, 52 that offered $10 off on $30 purchases at 50 restaurants plus two bonus cards for freebies. The cost to you was a mere $20. The cards were and are good through December 2015. They sold out, they are no more!